Every day, thousands of people rely on bus services to transport them from one location to another. Whether it is for work, vacation, or just to run errands, you expect that the bus you board is properly maintained and safely operated. If the bus owner and/ or driver fails to meet these expectations, serious injuries may result. In the worst-case scenario, are involving school children on buses. The lawyers of Wagner & Wagner Attorneys at Law assist individuals harmed by these incidents. Our experienced Chattanooga bus accident attorneys use our resources to investigate these types of vehicle accidents and provide you with the legal representation you and your family deserve. We pride ourselves on providing high quality, personalized service with skill and integrity. Buses are considered common carriers, which means that they are vehicles transporting goods or passengers across specific routes for compensation. As such, owners and operators have a strict duty to provide the highest level of care to their passengers by acting in a manner that protects them from harm. This includes adequate maintenance to ensure that the bus is operating in a safe manner. They are also responsible for ensuring that operators are properly trained and credentialed. Bus drivers must abide by traffic laws and use reasonable judgment when operating the vehicle. When any of these parties fail to meet their responsibilities, they may be held liable for the resulting injuries. 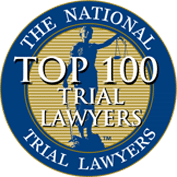 Given their large size and complicated operating systems, bus accidents can lead to serious injuries in victims, such as spinal cord injuries, traumatic brain injuries and severe burns in the event of fire. The process of a bus accident case varies depending on the type of vehicle owner. When the injuring vehicle is owned by a public entity, like a school system or government transportation entity, the requirements and procedure differ. Each state limits the circumstances under which a public entity can be sued, while also maintaining strict guidelines for these cases. Noncompliance with these rules can prevent you from successfully resolving a claim. 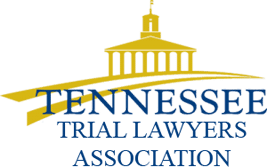 Therefore, our team of Chattanooga bus accident attorneys uses our knowledge and experience to ensure that your injury claim is properly instituted. We understand what is at stake for you and your family, so we commit ourselves to providing effective legal representation you can trust. If you or a family member was injured in a bus accident, secure of services of an attorney from Wagner & Wagner Attorneys at Law. We have helped numerous bus accident victims hold responsible parties accountable and overcome the challenges brought on by their injuries. 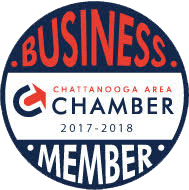 Our firm believes in We serve clients in Chattanooga and Cleveland, TN, in North Georgia, and all the surrounding counties. Call us today at 423.799.3532 or complete our contact form.